I had a fascinating conversation with a prospective student photographer a few weeks ago when she admitted surprise that I didn’t personally shoot with Canon cameras. She believed, so she said, that all ‘professionals’ used Canons. This tidbit of information she had gleaned from a photographic safari guide who apparently shot with Canon and authoritatively informed her that professional photographers all used Canon cameras. Amused as I was I went through the motions of describing how I feel one should choose a camera for personal use, not simply that you choose a camera based on what someone else has recommended (although word of mouth is most certainly the best advertising that one can have). Not being European or American, I can only speak with some semblance of authority for South Africans and their blind brand loyalty. In a recent email conversation with a leading South African landscape photographer, he bemoaned the fact that South African’s are so hooked on particular brands that better products (such as the products he is admittedly trying to introduce into the country) don’t even get a consideration. Personally, I agree with him. I don’t think that this is unique to South Africa though. If you follow the internet threads and fora you quickly come across the concept of the fanboy (or girl). It isn’t just with cameras either. I personally own and drive a Land Rover. That statement alone will probably cause some readers to reconsider reading this particular blog, because I don’t drive a Toyota ;-) . At some of the photographic clubs that I have spoken at before, eyes occasionally glaze over when I mention that I shoot with Fujifilm (and Nikon). I am approached afterwards by keen looking evangelists looking to proselytise me toward Canon (and on one occasion Sony, although to be fair I should have expected it considering I was invited to talk by Sony at a Sony concept store). Were I a Canon shooter, no doubt I would come across as many avid Nikonites concernedly pointing me toward their particular version of the photographic ‘light’. There is also no bigger fan than someone who has recently converted. The most vocal Canon users are those that have just ditched their Nikon equipment and vice versa. The most strident gear-head is the one wholeheartedly, unquestionably, knowing that they have something better than you who have chosen not to enter their camp. They will proclaim long and loud the merits of their choice, because if they can convince you, it sort of self justifies their own decisions. As an admitted and hopefully reformed gear addict, I can truthfully admit that I have also been there. Into this mix of die-hard believers, are also a strong component of doubters. Along with the flaming troll-wars on the internet forums by the ever faithful, are the doubters who openly question their own allegiance to a brand. Every major product announcement round there are a large group of camera owners who vehemently claim that if X brand doesn’t do A, B or C, then they will switch to Y brand. This is ridiculous. I think I am right in saying that there is no such thing as a bad camera right now (okay, there are cameras that aim to be ‘bad’ in a sense such as the cult-like followed line of Lomo and Holga cameras; but the point is that they are supposed to be unpredictable and well, bad). So why all the bad blood? The point of this post isn’t actually about the fans and their loyalties though, or the brand-bashers for that matter. It’s that one needs to look past the fans and their loyalties. I will say again, there is no such thing as a bad camera right now. In fact you can go back five years and that claim will remain. The thing that the photographer needs to decide is, what do they want out of a camera? If we all needed a weather-sealed, 13 frames per second, blisteringly fast focusing camera with zero buffer limit, bolted to a bomb-proof body, then the choice would be simple. It would be between the Nikon D5 or the Canon 1Dxmkii and maybe the Sony A99 (current generation that is). We don’t all need these features though, nor can the vast majority of photographers, professional or otherwise, justify the exorbitant cost of such a camera. For many photographers the increased size and weight of the D5 and 1Dxmkii would instantly mean that they never use the camera (assuming they had been silly enough to buy it in the first place). What do you need the camera for? Are you going to use it to photograph abstract images that will only ever get posted on Instagram and Facebook? If so, then any decent smartphone with perhaps a set of clip-on lenses will be more than adequate (if not better suited) to your photography. Do you wish to see yourself as a new Cartier-Bresson, Bill Brand or Elliot Erwitt, trolling the streets for subject matter and quietly recording the minutia of daily life. Then, any small inconspicuous camera will suffice. The smaller and less obtrusive the better (think Fujifilm X-series or the Olympus Pen digitals). My personal take on this would be one of the new mirrorless cameras with their electronic and therefore silent shutters. The retro design of some is also an advantage in some ways as it seems less threatening than the large size and shape of modern DSLRs. Another advantage is the perception that you are shooting with a film camera, leading to the assumption that you are an artist, not a journalist (the public seems to be more forgiving of someone they perceive as an artist). Are you more likely to be shooting landscapes and architecture with wide angle lenses, destined to be printed beyond A3 in size? Then any of the new 24mp+ DSLRs will suffice, or in some instances again the new mirrorless cameras from Sony and Fujifilm in particular (due to the breadth of lens choice courtesy of a growing third-party lens industry). Then there’s the simple fact that form factor can dictate whether you use the camera or not. Friends and colleagues can espouse the virtues of this or that camera, but if it isn’t any fun to use (or even something seemingly silly like not liking the way that it looks) or simply doesn’t doesn’t feel good in the hand, you are less likely to use it. A classic example that I have used to illustrate this before is that my wife dislikes using my Nikon cameras as she finds the grip too large to comfortably hold. 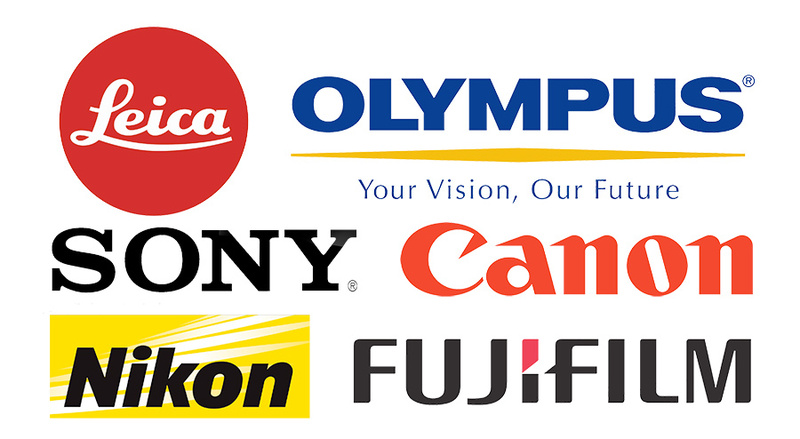 Once you get bogged down in the world of specifications it soon becomes apparent that all camera manufacturers produce excellent cameras all the way from the bottom of the line-up through to the flagship monsters used at the Olympics. Used properly and within the limits of the camera, the Canon EOS 750D is going to produce images that are indistinguishable from the Canon EOS IDxmkii (except of course at the highest ISOs). The same can be said between the Nikon D3300 and the top of the line D5. However, give a complete novice a D5 or 1Dxmkii and they are less likely to enjoy their first forays into photography than if they had a D3300 or 750D in hand. The latter is simply less intimidating and quite frankly easier to learn with (there’s a reason that we all started with the venerable brick called the Pentax K1000 in the days of film instead of a hulking and electronic Canon or Nikon)The trouble is we get introduced to a brand and then develop a loyalty towards that brand that can only be described as blind. We all have it. Pretend though that every camera is made by the same manufacturer and suddenly you can see the wood for the trees so to speak. Particularly when you pick the camera and allow it talk to you. Sidenote: I personally shoot with digital Nikon and Fujifilm cameras. I have owned and shot with Pentax film cameras, Pentacon and Zenza Bronica medium format as well as Linhof Technica large format cameras. I have also periodically used Hasselblad film cameras, Sony digital cameras and various digital Canons (the 7D and 5Dmkii in particular). There are things that I like about all the cameras and similarly things I dislike. There is no such thing as a perfect camera. Period (nor lens for that matter). The camera is a tool. The reason I shoot with Nikon: I have such an ingrained knowledge of their cameras that to change would actually be more pain than it’s worth…despite the fact that I actually prefer the feel, look and functionality of several of the Canon L lenses (I don’t like the control layout of Canons, but that has more to do with 18 years of shooting Nikons than with the actual layout per se). I shoot with Fujifilm because their cameras are a joy to use. I also want to throw my XT-1 through a window sometimes, but shooting with it is usually fun with excellent results.